Hello Friends! Happy Sunday! I have a birthday card to share with you today. Just a very simple, sweet card. 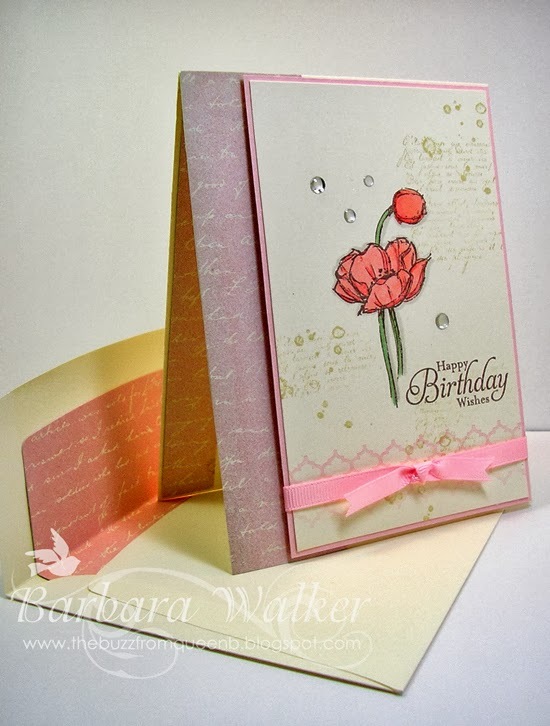 I used the splotches and text stamp to add texture and interest without adding bulk or too much color. I colored the image with Copic markers. 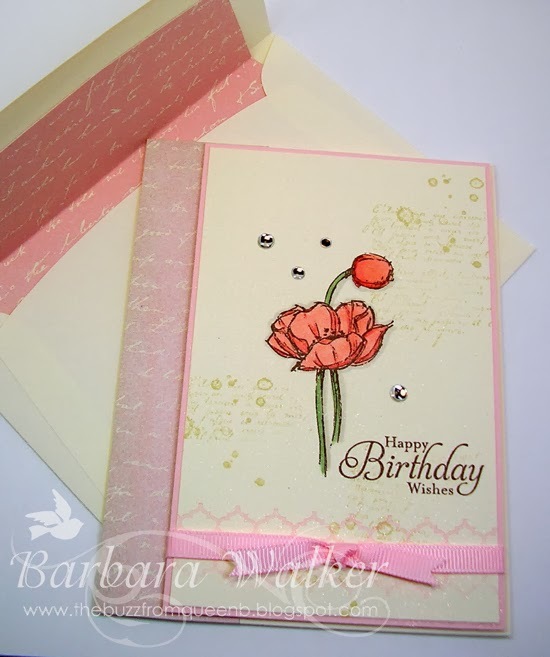 What a sweet and lovely birthday card, Barb. Love the soft colors and the bit of texture the splotches added. Beautiful!